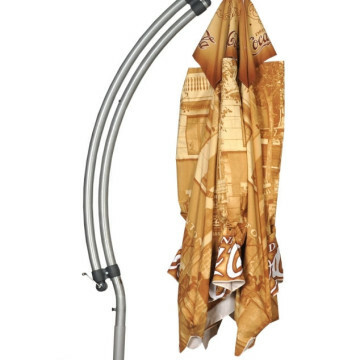 The Über Brolly Aluminium Cantilever Parasol is our deluxe aluminium hanging parasol. 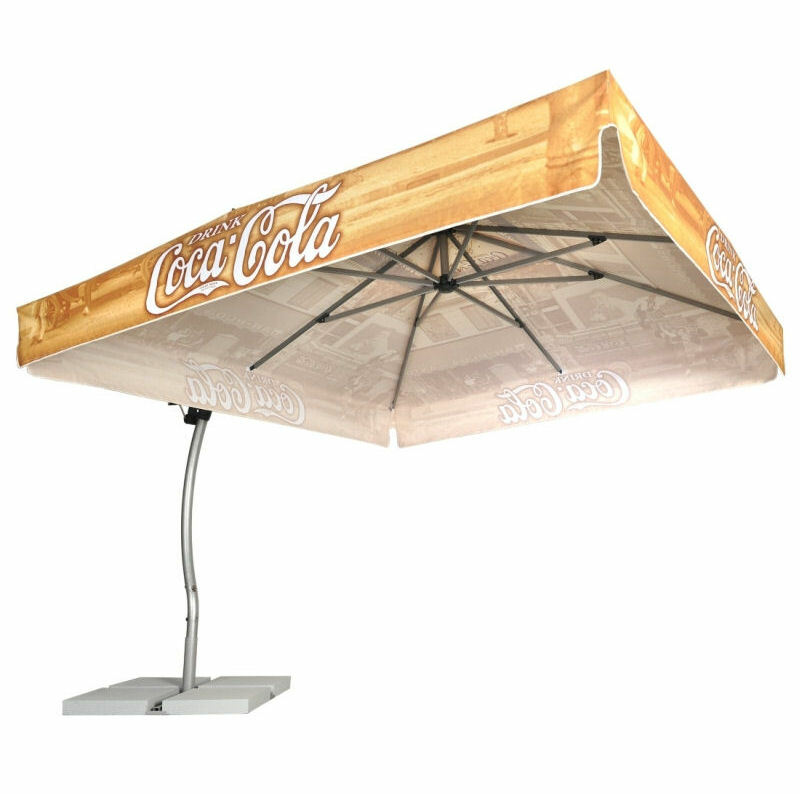 These printed parasols are super strong but still lightweight parasol and have space-saving hanging canopies. It has a beautiful curved shaft in aluminium with ultra thick and strong aluminium ribs for excellent rigidity and strength. 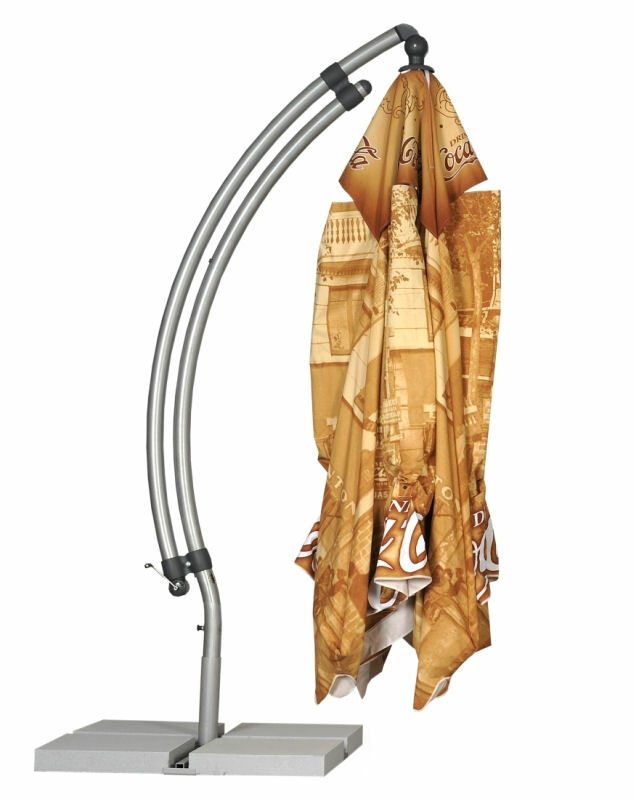 This corrosion resistant frame is easy to transport and carry as it is light weight making a sensible choice for those who are looking to move their parasol frequently. It comes with a sturdy 130kg granite base for stability and strength. We offer a range of sizes so you can choose the right size for your space. 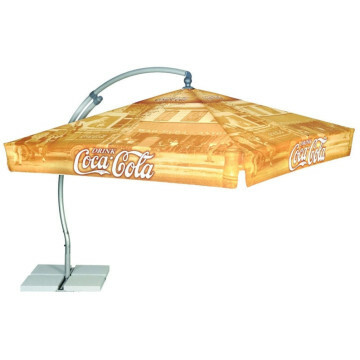 Our cantilever parasols are a unique option for those who want to optimise space and require substantial shade coverage. They come with a side leg shaft from which the canopy then ‘hangs’ from. This means that you don’t have a central shaft and base that take up space underneath the canopy, instead you have a large open space so you have freedom to utilise this however you wish. 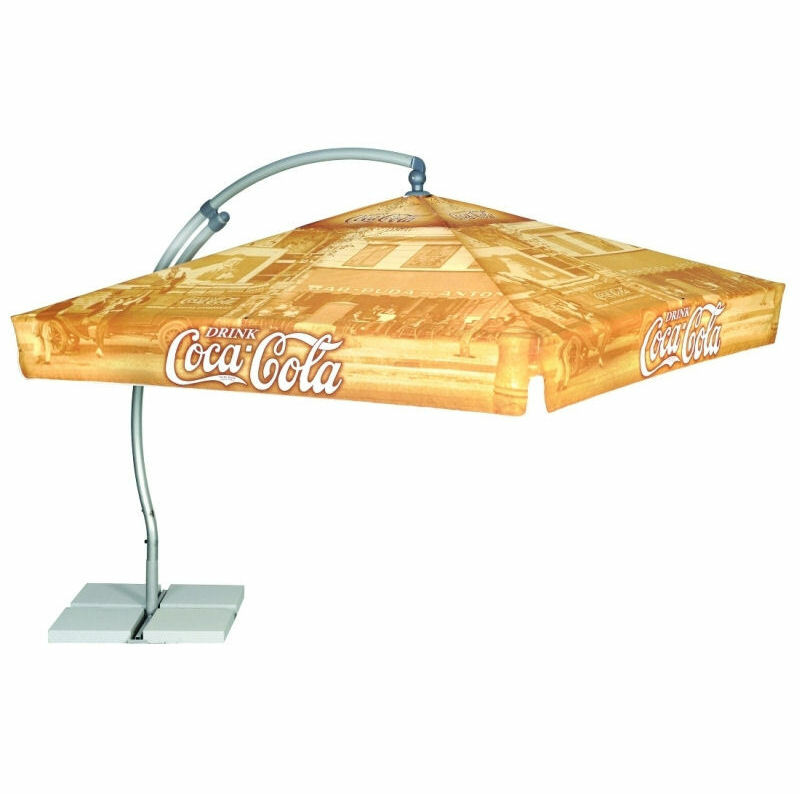 Have you seen our straight shaft Vertical Cantilever Promotional Parasols?